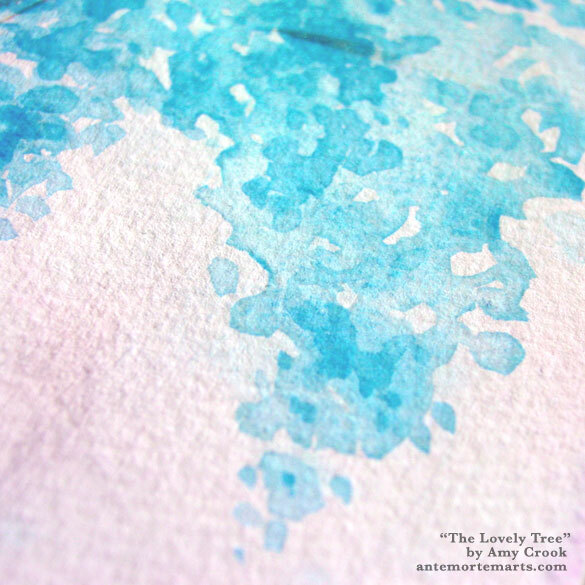 Beautiful baby-blue blossoms adorn this tree, in contrast to the baby-pink glow of the sunset in the background. Hints of falling petals dot the sky, and barely-seen branches peek through the flowers here and there. Pulling inspiration from the colors of the trans pride flag, this tree stands tall and proud in support of all the trans people in and out of the military, brave enough to live their truth despite the many obstacles. 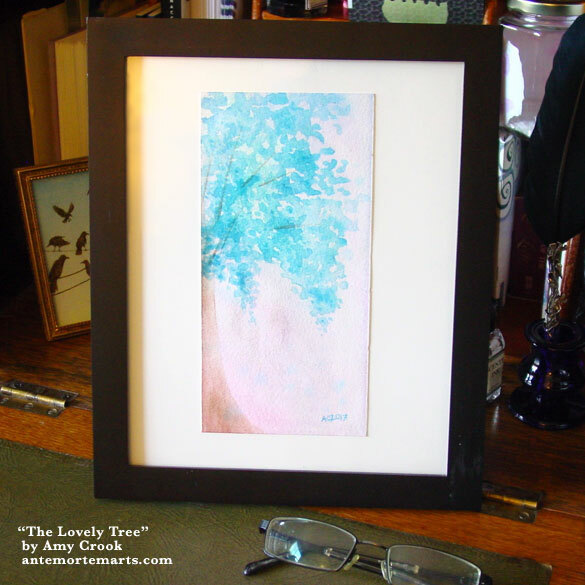 Above, you can see the loose, natural details of watercolor overlapping like flower petals, and below the piece is in a temporary frame, waiting to be planted in its permanent home.